He said he was delighted to visit the temple. 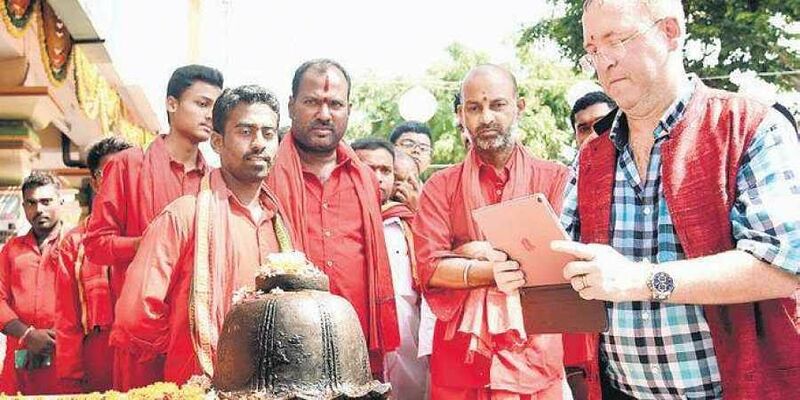 KARIMNAGAR: Describing Hinduism as a peaceful religion, Deputy British High Commissioner in Hyderabad Andrew Fleming said the spiritual atmosphere attracted him to temples and religious places. The British official visited the famous Mahashakti temple in Karimnagar on Saturday and performed special poojas for Goddess Durga, Laxmi and Saraswathi Devi. He said he was delighted to visit the temple. As his father was in a hospital in London, he prayed for his good health. Stating that breast cancer among women is high in India, he stressed the need to create awareness to prevent such diseases. He also said he is writing a book on health matters to be released soon.